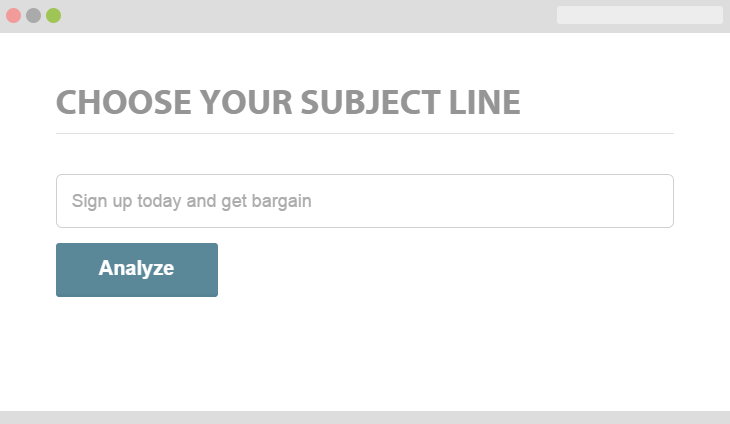 There is a new subject line testing tool on the market that is designed to predict the open, click and delivery rate of email campaigns prior to being sent. The tool, dubbed Subject Line Advisor, is powered by Touchstone and bases its predictions on the performance of previous campaigns. The company’s expanding database includes emails sent by large brands in both the U.S. and UK, and currently holds more than 85,000 unique email campaigns with a send volume of 21.6 billion. This means that more than 21 billion email results are taken into consideration each time a subject line is tested with the tool, with the company touting a 93.33 percent accuracy rate. Moreover, the tool has been integrated into the Mailigen email marketing platform. It is important to note that Subject Line Advisor is not the first subject line testing tool to the market. For instance, SubjectLine.com offers a free testing tool, as does Litmus. That said, Subject Line Advisor is just the newest update for the Mailigen platform, as the company also launched a multi-user account at the start of 2015 to help marketing teams collaborate more effectively. Plus, the company plans to launch responsive online surveys as well as other features later this year.